Does Your Facility Make a Great Impression in 7 Seconds? Were you aware that when a customer steps into your facility for the first time, they make a judgement based on the first 7 seconds they spend there? Making a good impression on a first-time customer is equally as important as maintaining the loyal ones. Great first impressions can launch long, successful relationships with your customers. Imagine the nicest hotel you’ve stayed. You probably made a judgment at the beginning of your stay based on the chandelier lighting, the friendly doorman, and comfy waiting area. So now, this hotel will continually resonate with you as a welcoming and aesthetically pleasing place to stay. Although it’s not necessary to have fancy lighting, you should always treat the customer experience as if you only get a first impression. The foundation for putting your best paw forward is seeing your business from the customer’s point of view. Your familiarity with your facility may desensitize you to off-putting aspects that you’re first-time customers will notice right away. We’re here to point them out so that you can having a refreshed perspective! 1. The smell of your facility is indicative of your facility maintenance. Pick up the poop. Make sure your facility is always smelling great too! While you and your employees may be used to the smell, first-time customers won’t be as forgiving. Once you pick up, mop up with the great-smelling products. And we don’t mean ones that will merely cover up the scent and by the next morning your back to square one. Pick products that have odor fighting properties and scrub all the areas that have been exposed to dogs, especially the waiting room. Dogs may not spend the majority of their time by the front desk, but pet parents will. Don’t neglect the front end of your business! 2. De-clutter the spaces that customers will visually take in before greeting you. Floor: Sweep up any lingering furballs and toys off the floor. Once a customer steps into your facility, they shouldn’t have to worry about stepping on anything else. Waiting Room: Are there magazines all over the seats? Has a dog peed on the floor without you noticing? Check in the corner too! Front desk: Make sure flyers and business cards are stacked properly and not scattered all over the counter. Make it a part of your routine to have employees check on these spaces to make sure they are always looking their best. 3. When you handle dozens of dogs at a time, the barking can be overwhelming. Groomer to Groomer Magazine suggests “Asking owners with really vocal dogs to come in first thing and call them ASAP, or book them an appointment later in the day after some of the other dogs have gone home.” Especially when you know your regular customer fairly well, this is a great way of segmenting the customers into playgroups. If you don’t know a canine customer as well, you can keep this in mind during their temperament evaluations and take private notes of these vocal dogs in PawLoyalty kennel software. 4. Are your employees welcoming each customer as they walk in? Make it a part of their training to greet each customer with a smile and open body language. When we say customer, we mean canine clients too.This hand-off from owner to you can raise anxiety for pet and owner, but you can alleviate the anxiety with a very welcoming and engaged meet & greet. Use the dog’s name so that you resonate familiarity and you’ll win over their owner in the process. 5. Do you remember to thank the customer before they leave? A star-studded impression wouldn’t be complete without it. An attitude of gratitude is essential because you want your last impression to become a lasting one. A simple thank you can warm the hearts of your customers and make them feel valued. Let your customers know that they impacted your day in a positive way! If your thank yous have been wearing thin because checking in a customer has just become a part of the routine, then it’s time to spruce it up! With your kennel software’s fast and easy check-in process, you have less work to do and more time to genuinely make each customer feel special. Having quality software like PawLoyalty impacts the customer’s experience as well because they will be receiving emails to claim their Pet Health Record. Leveraging quality software says to your customers that you are committed to your business’ success. Here’s a tip: Your website is also a way that some customers experience their first “7 seconds” with your business. Having kennel software that allows your customers to make online reservation requests portrays a core value of caring about making things easy and convenient. A website that is as welcoming as your business is the cherry on top of a solid facility. What does your company do to make a great first impression? Many dogs are explorers driven by innate curiosity. This could mean trouble for you if you do not keep a watchful eye on the sneaky pups at all times. To keep your guests from causing a raucous out of boredom or worse, crying because they miss their owner, make your Playtime service creative, especially for your regular customers. Not only will you be keep the dogs occupied, but you can challenge their senses of smell or tickle their tastebuds with a new treat. Don’t stick to the same old tricks--differentiate your business and stir up a new routine with these suggestions! “Yappy Hour” is a play on the popular “Happy Hour”. 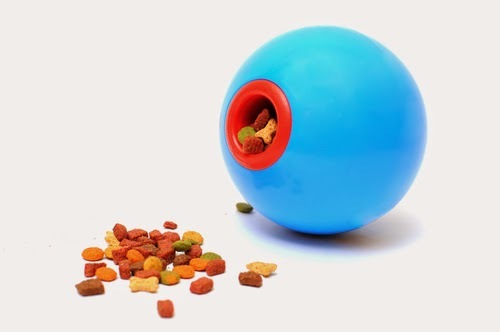 You can create your own version of a doggie Happy Hour by treating the dogs to special snacks (especially Kongs, which we’ll talk about in a second) and coming up with fun, challenging activities! Pinterest.com is a great place to search for savory and sweet dog treat recipes and games that other pet businesses have tried. Put together a group activity or add Yappy Hour as an extra service for customers to purchase through your PawLoyalty online booking software as an add-on to their appointments. Who will be able to resist a service that’s reminiscent of everyone’s favorite time of day? Fill a kong with peanut butter and stick it in the freezer for playtime. Multiple dogs can play with this one. There are several ways to make a fun kong so get creative! Fill it with different dog-safe treats so that it’s a surprise each time. There is a variety a of kongs based on age group, size of the dog, and shape based on activity. How about a tropical treat like a “Bahama Mama”? When you are ready to try this out at your facility,kongcompany.com is the go-to website for unique recipes! Beware of food allergies and don’t forget to add this snack to the feeding report in your dog daycare software. What dog wouldn’t love to chase around bubbles? Go big or go home with the extra large bubble wands that you would easily be able to find at a dollar store. When you’re outdoors, bubbles will dissolve in the grass and you won’t have to clean up a sticky mess. Standard bubbles can sometimes upset dogs’ stomachs so it is best to buy formulated specifically for dogs such as Bubbletastic Bacon bubbles!! You do not want any of your dogs to ingest the liquid or get it into their eyes. This bubble machine was made specifically for dogs and it smells like bacon! Make your own scents or buy toys that already come scented. Use the scents in a treasure hunt for the dogs. They may not all be bloodhounds, but dogs will love sniffing around and targeting the source of the aroma. Don’t confuse them with multiple scents at once, but rather, have two items that are of the same scent. Hide one and use the other to give the dog a whiff then let them off the leash to go find it! This one is especially beneficial for senior canines with arthritis and osteoporosis. Through your Pet Health Record on PawLoyalty dog daycare software, you can check if any of your dogs have a disability or need special care. Every dog likes to be patted and belly-rubbed, but a massage delicately pinpoints areas prone to joint pain. Here is a video on how to properly massage a dog’s back legs. Ever throw a birthday party for a dog? Maybe you have at home, so why not at your facility? Some places allow reservations for birthday parties, this is where noise makers would be most appropriate. But playtime can be a great time to bring out the noise! Like the bubble wands, you can find many noise-making knick knacks at the dollar store. How easy is this one? If the weather is usually nice at your location, just freeze a tray of ice cubes and dogs will love it on a sunny day. Plus, ice cubes are hassle-free! No cleanup necessary when dogs take their snack outside. It will keep their mouths cool and keep their focus on the activity. What fun things do you do to keep your dogs occupied? As a business (even if you are a fully established facility), you are likely looking ways to grow and improve your business. When you are considering the future growth of your own business, asking yourself two simple questions can really offer some insight on where to focus your time: Why do my loyal customers keep coming back? And what can I do to strengthen areas that need improvement? Start with the small things that you know you can make time for, won’t break the bank, and are easy to do at any time of the year. Marketing should be one of your strengths, whether it is advertising or facilitating word of mouth. With PawLoyalty pet resort software, you can customize your referral list so that you will be able to track where your referrals are coming from, pinpoint the marketing channels that are generating the most revenue, and in turn, create more successful business strategies. But building your business strategy should include more than just marketing. The details in your waiting room, the look of your website, and returning a pet happy and healthy all make a difference in your customers’ eyes! Is your business on a highly trafficked street? Or in a neighborhood where potential customers could are walking by every day? Create signs for your business that can be strategically displayed to catch the eye of passer-byers (bonus points for adding an adorable pup or two for visual imagery). Choose high traffic areas such as busy streets and intersections for your signs. Consider adding specials or some element of change to the sign to keep them interesting. One sign near us puts up clever quotes and changes them weekly. That may sound a little high maintenance but everyone in town knows that business and looks for their sign when they drive by to see what it says. Additionally, try to advertise at a nearby dog park. These outdoor signs can turn one of today’s drive-by’s into tomorrow’s walk-in. You don’t want your customers to have to stand while they wait. Hospitable reception areas will increase your customers’ patience and occupy their attention while you get their pooch good to go. Waiting areas do not have to be fancy, just comfortable. Pick up a coffee table and a few simple chairs (add cushions if needed), place a plant in the corner, scatter magazines and pamphlets around, add a few wall decorations like portraits or a bulletin board, and voila! You have a reception area for customers to relax while their dogs are being serviced. Consider partnering with a few pet vendors who can supply you with products that you can add to a retail section at your business. If you are a pet groomer, then sell pet grooming supplies so that customers can maintain their dog’s fur until their next appointment. If you are a dog daycare, then offer treats and food that you give to the dogs during their stay. Being able to give your customers a run-down of their pet’s activities will make them feel engaged with your business and will build a sense of community in caring for their pet. A list of daily activities will reassure them they are receiving the services they are paying for and that their pets are being well looked after. Add feeding and medication times to the sheet. Your website is often the first impression that customers will have of your business. What does your website say about you? Consider what could you do to enhance the experience of someone who is there looking for information. Starting a blog, adding video, and making your website mobile-friendly can go a long way for you technology oriented customers. Not only that but they can also improve your websites capabilities to serve you as a marketing vehicle. This is where your kennel management software can really come in handy. Customers will be tremendously grateful for a quick check in and out process. Most will be in a hurry to get to work, to beat traffic, or to go home after a long day. Drag and drop features on your kennel software allow you to swiftly handle each customer in a few seconds. They’ll be surprised at how efficient your system is. If you have not seen a demo of how easy check in/check out is with PawLoyalty, add that to your list of to-do’s! Real-time updates via text, FaceTime, and email are becoming more and more common as ways to update your customers about their pets throughout the day. Updates like these will take a few minutes at most, but provide pet parents with a small boost of happiness during their day away from their favorite four-legged friend. It also can be a way to distinguish yourself from your competitors as a business who goes above and beyond for customer service. You don’t have to do it every time they drop their dog off but every once in a while will make your customer feel special and be pleased that you are giving individual attention to their pet. Including a healthy pet guarantee embodies confidence. 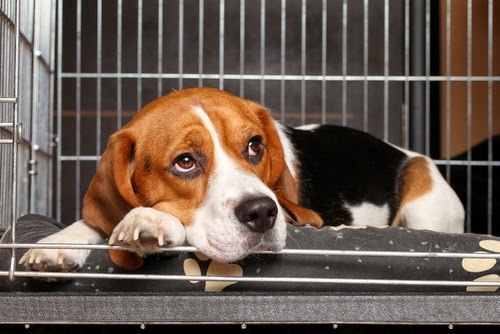 If their pet does not come back to their owner as healthy as they came in, then offer compensation. This will show your customers that you take your dog health seriously and that they do not have to worry about their pet contracting kennel cough or other illnesses while they are away. Small changes can go a long way and with your pet resort software, you can create a custom list of your referrals and track where your marketing efforts are best spent. Overtime, you’ll see an increase in customer satisfaction, which makes enjoying your job easier. Do you have any tips to share with the pet community? Still using kennel connection, kennelsoft, or k9bytes? Kennel software has come a long way since 1990… get a FREE evaluation account with PawLoyalty and see why pet care professionals are making the change. Great images are a social media staple. They make up a huge portion of the first impression customers receive when they visit your website. Customers are extremely visual especially when it comes to choosing the right facility for their pet care needs. This is why you should make an effort to take amazing pictures of your business to entice customers to check out your place in person. But when you don’t have a fancy DSLR camera with interchangeable lenses, your smartphone can be your greatest asset! A bonus to having great pictures? Social media sites like Pinterest, Instagram, and Facebook thrive on sharable content! Once you’ve posted your amazing pictures to your website, you can then Pin them to Pinterest board or share them with your Facebook fans to boost your marketing strategy. We also recommend using PawLoyalty Kennel Management Software to increase the frequency that your current customers share about your business on social media. 1. Showcase your facility in the best light--literally! A tip to making your pictures look professional is to use a resource you’ve got all around you—natural lighting! Often, what makes pictures look unprofessional is the flash lighting from a smart phone. This means that you should take your photos while the sun is still out and natural light can flood the room. Play around with the blinds and the curtains to see, what lights and shadows work for the best shot. And don’t forget to turn off ALL the lights in the room! The Rule of Thirds was meant to set guidelines for art—not just photography—but paintings and films as well. You know how tic-tac-toe is set up by drawing lines to represent 9 boxes in rows of 3’s? Think of this tic-tac-toe design while you are shooting. Rarely do professional images have one single focus in the middle of the photo (unless the photo is meant to show symmetry), so you should avoid placing your main focus in the center box. You want the main focus of your photo (such as a person, a dog, or a food bowl) to rest on one of the vertical lines instead of directly in the center. Angling the photo by placing the main focus off-center can make your space seem more spacious and your photo have an artsy feel. If you’re main focus is the front desk, try taking your photo from the side of the room as opposed to shooting directly in front of it. The dog home is the focus, yet it is off to the side and rests directly on the 2/3 vertical line. This allows the viewer to take in the image as a whole and notice the embellishments of the background, while still keeping the dog home as the primary focal point. Decorative features in a photo make the scene come alive, but you want to make sure not to have too many “props” in the photo. Make sure your space is clean and presentable. Plan the guidelines of where the photo will end and make sure to take out any unnecessary items in the area that detract from an organized look. Professional Stagers will tell you, “Less is More”. Find a balance with the right amount of décor, which can include humans as well. Feel free to add a few employees to the mix by taking a few candid shots of them interacting with each other or with the dogs. 4. Be a copy cat. Look on other websites for inspiration on how to stage your photos. One great place to start is your competition or a facility that you know that is has great photos or even hired a professional. See what you like and what you don’t like about how their photos are displayed. This will give you a more critical eye on your facility photos. Websites like houzz.com have amazing home design ideas that you can apply to your business. Thinking up the perfect scene doesn’t have to be hard work. Find a picture that fits the feel of your facility and go with it! 5. It’s all in the details! You’re a pet business, which means you have a lot of room for creativity. Put pictures on your website that show close-ups of the details that represent your brand, like a row of hooks with leashes attached to them. Grab a few mason jars from the dollar store and fill them with colorful dog treats. Simple DIY (Do-it-yourself) projects can liven up the room and give your business some character. A fun and creative environment is attractive to most pet owners. 6. Experiment with free photo apps. The pet world is light-hearted and more casual than other industries. Don’t overlook the crazy effects like color saturation, black and white with a pop of color, retro filters, and cropping images to focus on parts of the photo. Go to your website and Facebook. Now that you have these techniques in mind, you can look at your facility photos with a critical eye. Do they encompass everything you want to say about your company? Do your photos say you are professional, clean, or have that home-like presence? If not, then take your smart phone out of your pocket and test out 2-3 shots. Ask your colleagues and employees for feedback on what feels the most like your business. Then you can finally start posting while your pet resort software handles the booking process for you! What photography tips or techniques have worked best for you? Please attach a link to a photo of yours that you really love or feels represents your business! If you have ever wasted time looking for a copy of a receipt, a manila file, or a sharp pencil, you know that it is easy to get frustrated when the tools that you need to do your job are not easily accessible. We all deal with paper build up, clutter accumulation, and a slow buildup of “stuff”. It is important to take time every now and again to do some office clean up and get yourself organized. Research suggests: The average office “slob” wastes 1.7 hours per week! By not organizing your office you leave yourself and your employees susceptible to stress and frustration. Your pet business does not have room for these burdens when there are canine clients who need constant supervision. Luckily, there is a solution: organize your office! We have several tips for you on how to do just that. Keep in mind, having a well-kept office space will encourage you to manage the rest of the facility the same way. 1. Get software (ideally modern, cloud-based software). Yes, this is a shameless plug for our product, but seriously it is 2014. If your business is not using software to efficiently operate your facility and communicate with your customers, it’s time! Kennel software, grooming software, training software, will free up time. The average user of kennel software reports an average of 33% increase in productivity. If you had 33% of your time back, just imagine all the things you could do! PawLoyalty Kennel Software organizes all of your client records on-line in an easily searchable format. It eliminates the need for paper and folders floating around the office and time wasted searching and pulling records. Organize and optimize the use of your facility by having technology do the work for you. With kennel software, you’ll have most, if not all, of your client information stored and accessible through your computer. This will free up space that is taken up by filing cabinets, bulky folders, and large paper recycling bins. And having the luxury of searching for items with the click of a button as opposed to rummaging through old papers is a benefit I am sure many of you have marveled at! But whether you have kennel software or not, here are a few extra steps you can take to organizing the non-digital items in your office. When your dog leaves waste on the sidewalk, it’s courteous to pick it up and dispose of it properly. Unfortunately several people do not treat “the waste” in their offices with the same etiquette. When was the last time you wanted to throw away a used up pen or a dry highlighter, but there was no trashcan nearby so you just put it back in your pen holder or stuffed it in your drawer? A small instance like this creates clutter and before you know it you have a drawer that your brain has deemed the junk drawer. Bring out the trash bags because it’s time to pick up the waste! And yes, this includes hardcopy files that are already in your dog daycare software and taking up space on your desk. If you use cloud-based software, you can rest assured that your records are safer than ever. Backed up twice a day, they are no longer at risk of damage or deletion when your computer dies unexpectedly. What are you waiting for? Designate an hour this week where you will meticulously go through drawers around your office and in your desk to eliminate things that are dried up, trash worthy or not serving you anymore. 3. Tidy up your customer information section. Even if you handle customers at the front desk, this section should have all the tailor-made items for them in one spot. Having all of the welcome packets, flyers for promotions, event calendars, and merchandise in a single area will make things easier for you to locate objects in a timely manner so that you don’t waste your time or the customer’s. Try and place all of the information on a space that is about the size of an end table. Make it manageable and well organized. Purchase display tools like acrylic paper holders. If you are trying to arrange your information on a large surface, consider using a placemat to visually merchandise and group the items. Here’s another tip: Have different colors for each flyer so that you don’t have to filter through a stack of white papers that will begin to look identical. What are you waiting for? Mentally take note of where you will place this section. If you already have a section in mind, then visualize how you want it to look. Visualization is a great place to start planning so that you have a goal in mind while re-organizing. 4. The labeler is your friend. In case someone in the office forgets which folders are for what purpose or what goes in what drawer, label EVERYTHING. It is important to label everything so that those who are less committed to your organization strategy (or less familiar with it) will not undo all your progress in a single afternoon. Just like how we label folders on our computer documents, add labels to all organization systems including shelves, storage boxes, folders, etc. The labeler will be that constant reminder to you and to your staff that there is a place for everything and everything should go back in its place. Labeling also helps avoid operation mistakes. All manila folders look alike. You don’t want a staff member to accidentally put one client’s personal document into another client’s folder. This is also why we encourage filing documents on your computer. We’re pretty sure there’s more than one dog named Rocky owned by a Mr. Williams out there. A simple computer search will be able to locate a document faster than if an employee were to spend time flipping through each folder. What are you waiting for? Purchase a labeler this week! After tidying up your office, pick a time and date to schedule 10 minutes committed to labeling folders, boxes, and drawers. Then announce to your staff that everything is now labeled for convenience and to please commit to putting items back in their newly labeled area. 5. Walls are space savers. Your local office supply store has tons of options for wall storage. Mini drawers, hooks, magazine racks, corkboards, and of course, shelves, can all hold items that would normally occupy your desk. Because shelves put items on display, you will be less tempted to make a “junk shelf” lest your customers see your uncapped, dried up highlighters on display next to a picture of the wife and kids. What are you waiting for? Check out our Pinterest Board, Facility Wall Organization to get the creative juices flowing on this one. Fortunately, your kennel software will be able to cut out the middle man of you having to file and locate documents because customers will be able to upload their pets’ medical histories themselves. 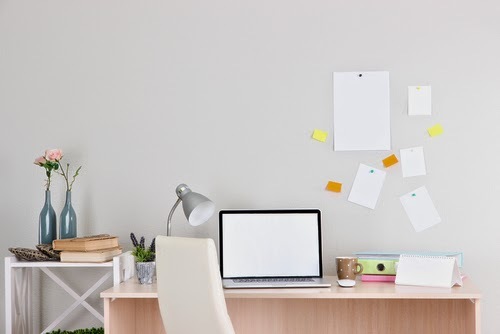 Without all of these extra papers lying around, you will have no excuses for a messy and cluttered office! Clean it up today! What are some organizing tips that work for your office? We would love to hear them!! Please share your experiences with our pet professional community.